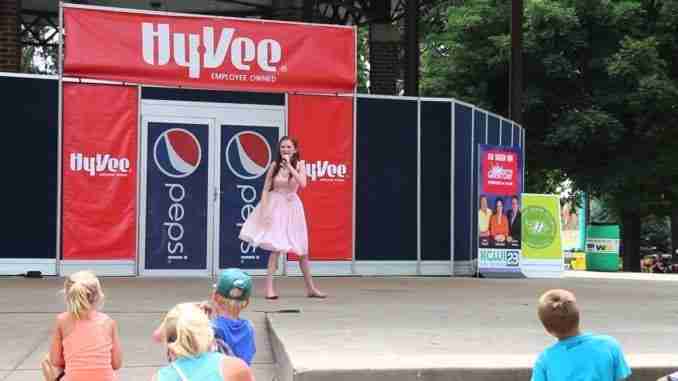 Des Moines, Iowa – A Charles City man has placed 3rd in the 58th annual statewide Bill Riley Talent Search at the Iowa State Fair. 21-year-old Harrison Shecklar placed 3rd for his piano solo and scored $2,000. Placing 1st was 18-year-old Ridge McGinley of Pella for his lyrical dance performance and won an $8,000 prize. 2nd place was 20-year-old Libby Peterson of Cherokee who won $4,000 for her musical theatre performance. Sprout winners included 12-year-old Trinity Brincks of Fredericksburg for her tap dance. Other winners included children in Windsor Heights, Sioux City, Altoona, West Des Moines, Jefferson and Centerville.